CHARLOTTE, NC (April 11) – The best short track racers from across North America will once again be descending on Hickory Motor Speedway this weekend as they seek to claim the checkered flag in the 12th Annual Easter Bunny 150. Super Late Model racers have flocked to the legendary speedway nestled in the North Carolina Piedmont since 2006. 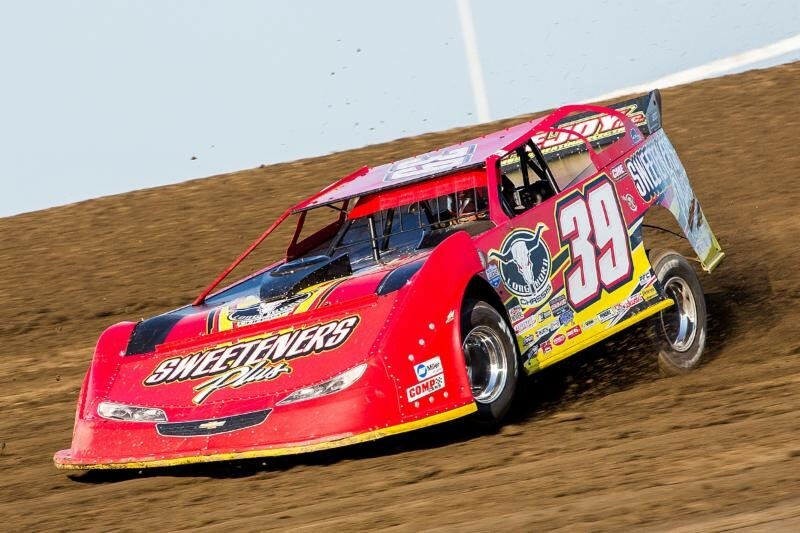 The “Bunny” has become an Easter weekend tradition for the Pro All Stars Series (PASS) Super Late Models and this year’s race has added importance. In addition to being part of the PASS National Championship Series, the Easter Bunny 150 will serve as a major tune up for November’s Mason-Dixon MegaMeltdown 300, which will pay $15,000 to the winner. Likewise, fans of short track racing recognize the Easter Bunny 150 as one of the sport’s premier races, thanks in large part to the star-studded field of drivers the event attracts year after year. Names like Rowe, Lawler, Williams, Naase, Grissom, and Shaw have all visited victory lane in the Easter Bunny 150 at Hickory. And, only former national champions, Ben Rowe and Preston Peltier, have achieved victory in racing’s ultimate Easter egg hunt more than once. But, even with the best the sport has to offer coming to duke it out against one another, it is a homegrown product of Hickory Motor Speedway that some have circled on their entry lists as an early favorite. Former PASS South Super Late Model champion, Tyler Church, is actually from Hickory, NC. 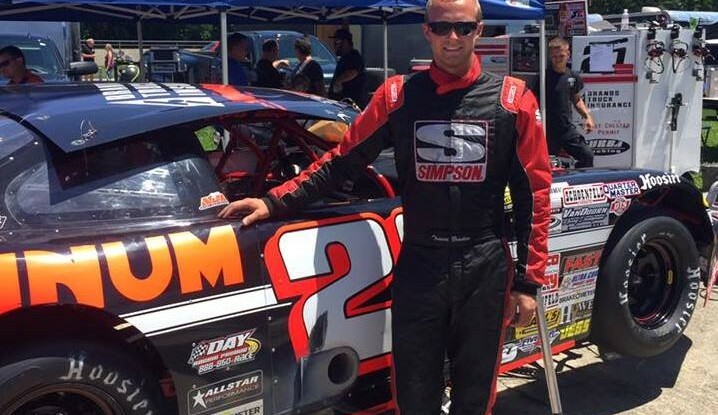 He started as a fan attending races at Hickory Motor Speedway and, after becoming a racecar driver, became a top contender in the track’s Limited Late Model division. Church became an immediate frontrunner with PASS, scoring an emotional win in the 2013 Over The Mountain 150 at Hickory. A win made even more special in that it came in front of longtime fans, family, and friends that had supported his journey up the racing ladder. And, by the fact, that his late mother is buried in the cemetery which overlooks the historic speedway. Now, Church is hoping to get a rash of bad luck behind him with some home cooking this weekend. Church will certainly have his work cut out for him though this weekend as one of the strongest groups of Super Late Models of the year will assemble at Hickory Motor Speedway. Fellow PASS South points contenders Matt Craig, Tate Fogleman, Tanner Thorson, Spencer Davis, Dave Farrington, Jr., and Kodie Conner have all filed entries. Former Hickory winners, Brandon Setzer, Chris Dilbeck, and Heath Hindman, will be joined by Derby winner, Christian Eckes and an entry for Kyle Busch Motorsports, all looking for their first wins in the Easter Bunny 150. As is usual for the Easter Bunny 150, a strong contingent of Northern drivers will be making the trip down to Hickory including PASS National points leader, Ben Rowe, Derek Griffith, Mike Hopkins, Travis Stearns, Trevor Sanborn, and Joey Polewarcyzk. Canada will be well represented by drivers from three provinces, Quebec’s Raphael Lessard, British Columbia’s Sarah Cornett-Ching, and Nova Scotia’s Cole Butcher and Nicholas Naugle. Veterans Jimmy Doyle, Lee Hansard, and Jody Measamer will all be making their first starts of the season. Entry forms and the complete weekend schedule for the 12th Annual Easter Bunny 150 at Hickory Motor Speedway can be found at ProAllStarsSeries.com. Action gets under way on Friday at Hickory Motor Speedway with rotating practice from 2 – 5:10 PM for the PASS South Super Late Models, USAC Eastern Midgets, and Legends. On Saturday, pit gates will open at 11 AM for the 12th Annual Easter Bunny 150, with rotating practice for all divisions from 1 – 3:40 PM. Qualifying will begin at 4:30 PM, with the on track Pit Party at 5:45 PM, and racing will start at 7 PM, featuring 150 laps for the PASS Super Late Models. The Pro All Stars Series is recognized as North America’s premier sanctioning body for asphalt Super Late Models and boasts such marquee events as PASS South’s Easter Bunny 150 and the MegaMeltdown 300 at the historic Hickory Motor Speedway and the legendary Oxford 250 at Oxford Plains Speedway. For technical information concerning all PASS divisions please send questions to passracing@roadrunner.com. For media or marketing questions, please contact Alan Dietz at 704-231-2039 or alandietzpass@live.com. Please visit ProAllStarsSeries.com for more information. And, don’t forget to “Like” the Pro All Stars Series on Facebook or follow us on Twitter at @PASSSLM14 to keep up with breaking news as it happens.